An organizer, consultant, and educator in the alternative agriculture movement, Grace Gershuny has been active in the field since the 1970s when she worked for the Northeast Organic Farming Association (NOFA), developing its first organic certification program. As a leader in the movement, Gershuny helped to establish both the Organic Trade Association and the Organic Farmer: The Digest of Sustainable Agriculture. Today she continues to write and teach on the subject, serving as a faculty member at a number of colleges, most recently Green Mountain College. The collection consists chiefly of printed material from a run of the Organic Farmer to Appropriate Technology Transfer for Rural Areas (ATTRA) publications and organizational newsletters, such as the Rural Education Center. 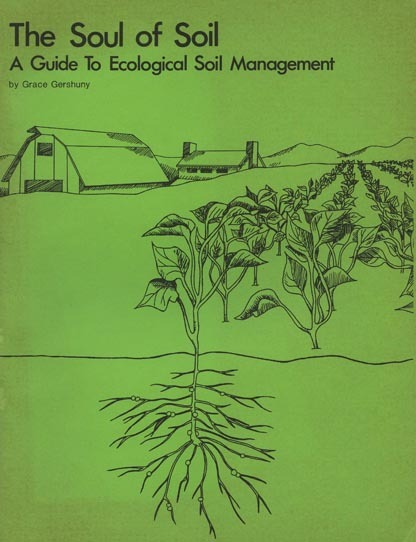 Amongst these publications are a few small but significant groups of materials including notes from Gershuny’s role as the NOFA VT coordinator in 1979 and her drafts and notes for the second editions of The Soul of Soil. Harvard educated and a veteran of the American Revolution, Benjamin Heywood was a jurist and prosperous farmer from Worcester, Mass. Includes documentation of civic and farming activities, such as which animals were put to pasture on what date, which pastures were leased to others, the names and terms of indentured laborers, and the sale/exchange of agricultural products to customers such as Isaiah Thomas, William Eaton, Nathaniel Stowell, Ithamar Smith, and Jonathan Rice. Also contains references to family members. Farmer from New Salem, Massachusetts, whose secondary occupation was that of a shoe repairman. Daybook documents a component of small-scale, handwork shoe production in a local economy prior to the arrival of centralized, mechanized manufacturing; lists Holden’s shoemending skills and the method and form in which he was paid by customers, including cash, customers’ labor, and services or wares such as butchering pigs or cows, chopping or gathering wood, traveling by buggy to a different town, using a neighbor’s oxen, and a variety of food and tools. Born in 1792, Ashley Hubbard was raised on a farm in Sunderland, Mass., and spent a life invested in agriculture. Prospering in both work and family, Hubbard owned one hundred acres of land at the height of his operations and had a successful, though relatively small scale run of livestock, including horses, oxen, milk cows, and sheep. In this slender volume, a combination daybook and memorandum book, Hubbard maintained a careful record of breeding and maintaining his livestock. Succinctly, the memos make note of the dates and places on which he serviced horses, took heifers or cows to bulls, or pastured his stock, and there are occasional notices on sheep. 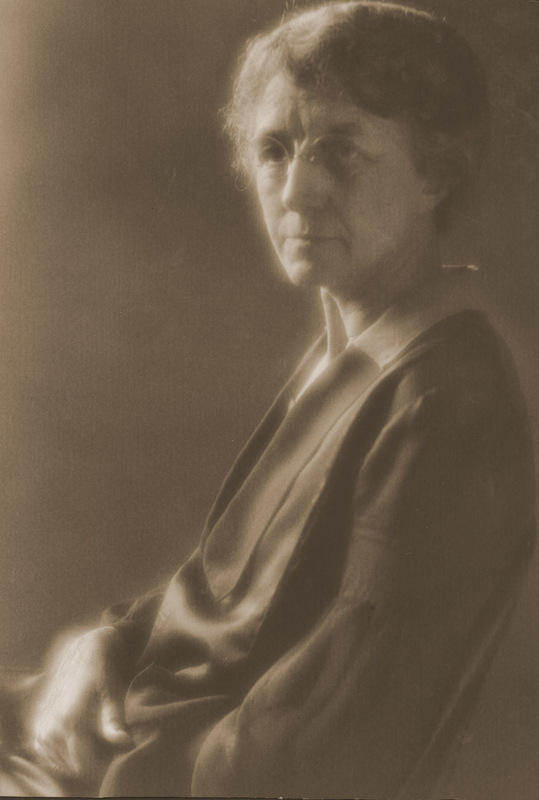 An historian of economics specializing in American agriculture, Lorian Pamela Jefferson was one of the first women in the field and became an expert on New England agricultural industry. Born in 1871 near Necedah, Wisconsin, Jefferson earned her B.L. from Lawrence University in 1892 and her M.A. from the University of Wisconsin in 1907, continuing on to study towards her PhD though she never finished her research. Jefferson began working at the University in 1912 as an expert in the Division of Rural Social Science and became a professor of Agricultural Economics in 1915. Known as “Miss J”, Jefferson was a dedicated teacher and published extensively on various aspects of agricultural industry and marketing, including the McIntosh apple market and the agricultural labor movement. Illness forced Jefferson’s retirement from the University in 1935 and she died shortly thereafter. Industry reports, farm and community market assessments, and many of her published articles make up the majority of the collection. There is also a bound volume of correspondence and pamphlets by Jefferson from 1914 titled “Letters Relating to economic Entomology in the United States.” Among the published work is a copy of the magazine Farm and Garden from April, 1924. A notable figure in Amherst, Mass., prior to the founding of Amherst College, Rufus Kellogg was born on July 16, 1794, the child of Jerusha and Joseph Kellogg. Married to Nancy Stetson in June 1820, Kellogg made a successful, if highly varied living, serving as town postmaster (1809-1824), keeping an inn and tavern at the “City” beginning in 1818, and farming, and he became a stalwart of the local Masonic lodge. His son Rufus Bela Kellogg rose even higher on the social ladder, graduating from Amherst College in 1858 and became a prominent banker. A diverse and fairly complicated book of records, the Kellogg ledger is part waste book, day book, memorandum book, and account book, marking records of lending a horse and sleigh are interspersed with accounts for the sale of grain and hay, boarding locals, repairing pumps, and other miscellaneous transactions. 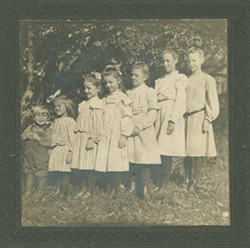 Although it is unclear precisely which member or members of the Kellogg family kept any individual record, it appears that Rufus must have initiated the book, although later entries were clearly made by one or more of his children. Owners of a farm business/general store in Charlton, Saratoga County, New York. Includes lists of items sold, services performed (such as plowing, harvesting, and planting corn), transactions with fellow townsmen, and debts owed. Also includes newspaper clippings of poetry, samples of dried pressed foliage, written document of Ketcham family births, deaths, and marriages, and the document of a house sale agreement. Ketcham, HenryKetcham, Robert, b. 1796? The family of Roxana Kingsbury Gould (nee Weed) farmed the rocky soils of western New England during the late nineteenth century. Roxana’s first husband Ambrose died of dysentery shortly after the Civil War, leaving her to care for their two infant sons, and after marrying her second husband, Lyman Gould, she relocated from southwestern Vermont to Cooleyville and then (ten years later) to Shelburne, Massachusetts. The Goulds added a third son to their family in 1869. A rich collection of letters and photographs recording the history of the Kingsbury-Gould families of Shelburne, Massachusetts. The bulk of the letters are addressed to Roxana Kingsbury Gould, the strong-willed matriarch at the center of the family, and to her granddaughter, May Kingsbury Phillips, the family’s first historian. In addition to documenting the complicated dynamics of a close-knit family, this collection is a rich source for the study of local history, rural New England, and the social and cultural practices at the end of the 19th and beginning of the 20th centuries. Marshall O. Lanphear spent forty-five years at Massachusetts Agricultural College, earning his B.A in 1918 and a Master’s in 1926, after which he taught agronomy and served as college registrar. After service as an infantryman at the end of the first World War, Lanphear worked briefly as an instructor at the Mount Hermon School before returning to MAC for graduate study. Known to his colleagues as “Whitey,” he taught courses on farm management, dairying, and pomology and on his retirement, Lanphear was awarded an honorary doctorate of humane letters. He died on April 24, 1993 at the age of 98. 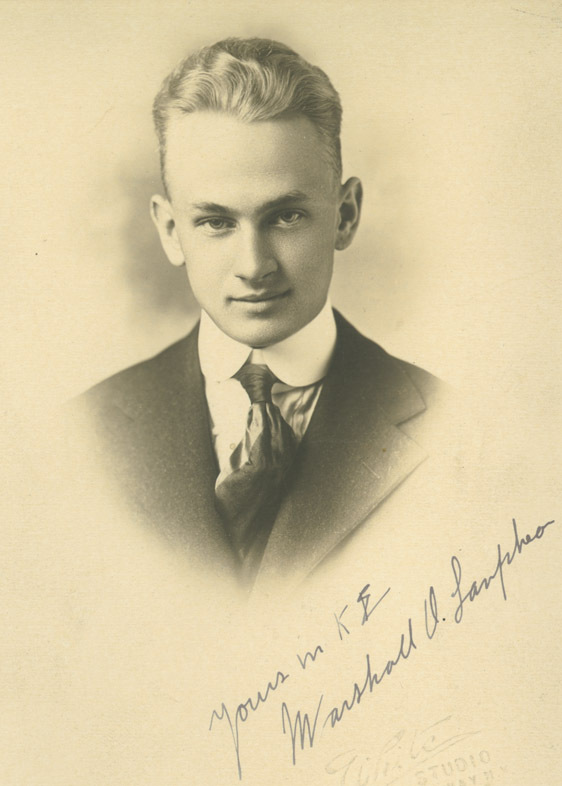 The Marshall O. Lanphear Papers include a number of his published articles, correspondence regarding his honorary degree, speeches, lecture notes and personal items including illustrated Christmas cards from 1915, his 1917 driver’s license, and correspondence related to his retirement. There is also a folder of business records from the college farm.